For most commercial organizations, the sales process is inherent to its existence and ability to create profit. Although each company will achieve this aim in its own way, the core selling process remains similar throughout — a potential buyer or prospective customer exchanges money with an organization in return for goods or services. Despite this rather simplistic definition, there exists huge scope as to which approach is taken. Indeed, it is not uncommon for the sales division to be the largest within a corporate structure, employing a team of salespeople, analysts, and the sales managers, who are in charge of sales division operations. The ideal method with which to represent these step-by-step processes is through the flowchart medium. Using flowchart symbols create the color-code for your sales objects to convey things like who's responsible, critical resource for process flow, risk levels or milestone critical decisions, etc. These libraries are the real godsend, because now you don't need to be an artist for drawing professional looking and attractive Sales Process Flowcharts. 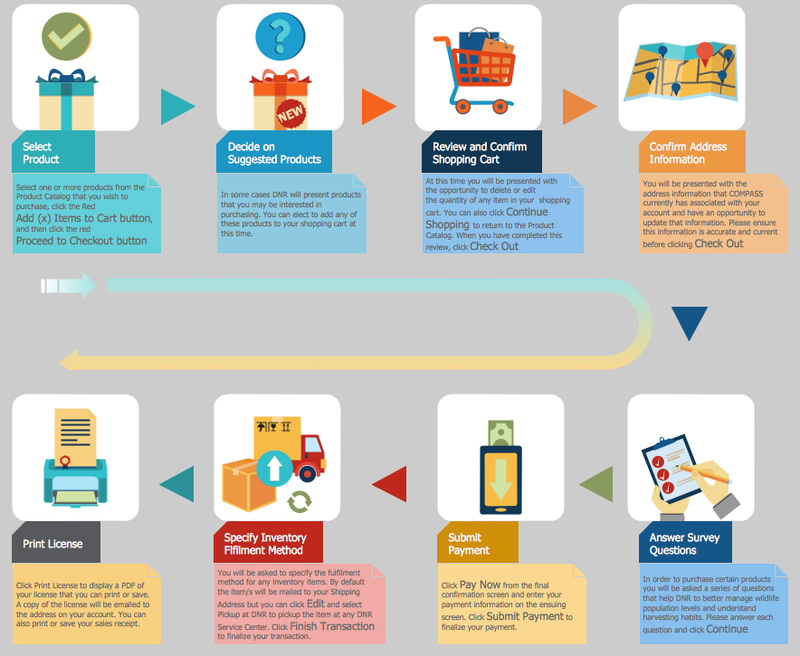 This diagram was created in ConceptDraw DIAGRAM using the Sales Arrows and Sales Symbols libraries from the Sales Flowcharts solution. These samples successfully demonstrate solution's capabilities and professional results you can achieve. An experienced user spent 10-15 minutes creating each of them. The Sales Flowcharts solution is a great tool for anyone involved in sales process management. 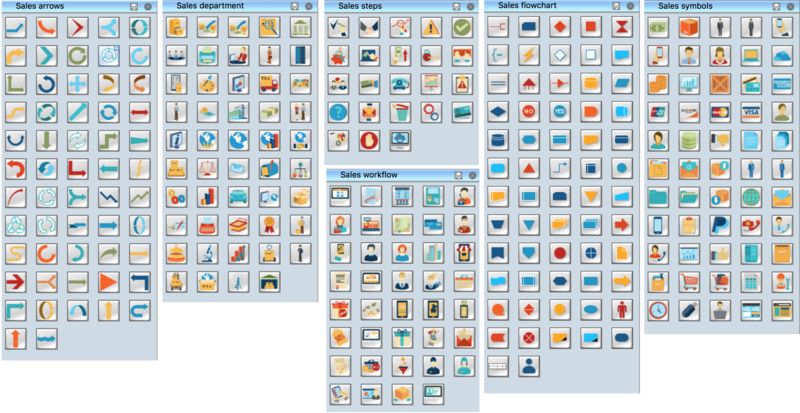 A user can show a workflow at multiple hierarchical levels across and entire business, on a single diagram, thanks to the wide array of graphics and templates at their disposal. 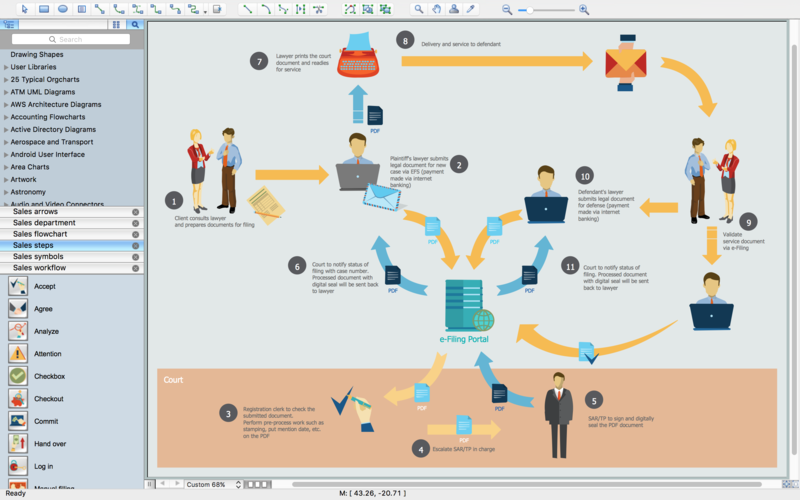 ConceptDraw DIAGRAM v12 diagramming and vector drawing software extended with tools of Flowcharts Solution from the "What is a Diagram" Area of ConceptDraw Solution Park ideally suits for fast and easy Online Flow Chart designing. We propose to verify this right now. 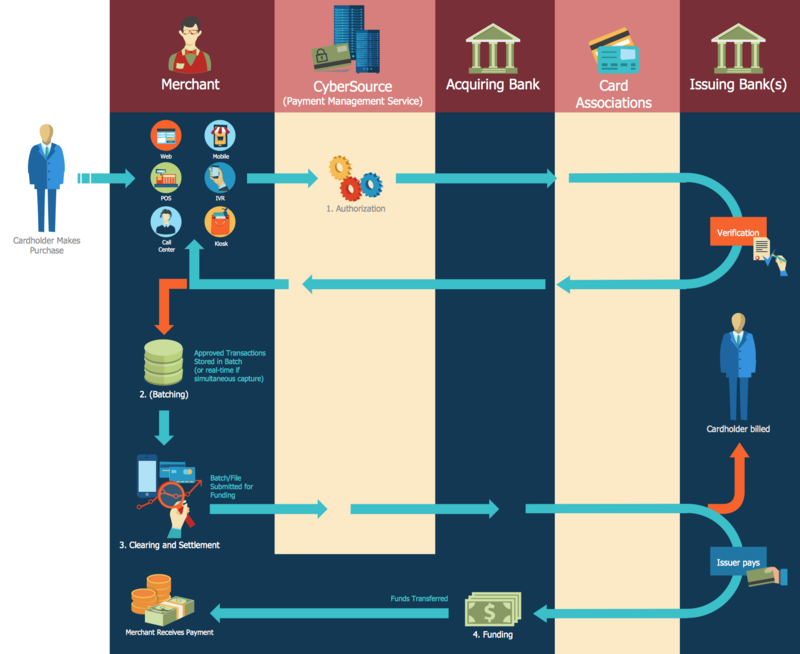 The Process Flowchart or Process Flowchart Diagram (PFD) is a visual representation relations between major parts of the system, the steps in a process, and even connections between various systems. The possibility to easy create professional-looking and attractive Process Flowcharts, Business Process Diagrams and Maps which visualize the steps of complex processes is provided by Business Process Diagram Solution from the Business Processes Area of ConceptDraw Solution Park and 16 libraries with 230 process flowchart symbols from BPMN 1.2 and BPMN 2.0.